Google and Intel are collaborating on self-driving cars. This a big confidence-builder for Intel stock. The thing left unsaid is that Intel expects Waymo cars to use its self-driving car processors, not Nvidia's GPUs or Google’s own CPUs. Intel paid so much for Mobileye because it was betting that the Israeli’s start-up's vision processing unit, the EyeQ 5 will become the industry-standard processor for autonomous cars. Waymo's test cars are currently using very expensive LiDAR sensors. Mobileye offers the more affordable camera-based self-driving car solution. Mobileye’s EyeQ 5 and Movidius's neural compute-capable Myriad X are two Intel-owned next-generation vision processing units that need the backing of self-driving car pioneers like Google. After completing its $15.3 billion acquisition of Mobileye last month, Intel (NASDAQ:INTC) is wasting no time recovering its investment. CEO Krzanich used a blog post to announce that Intel is now working with Google’s (GOOG, GOOGL) self-driving car unit, Waymo. 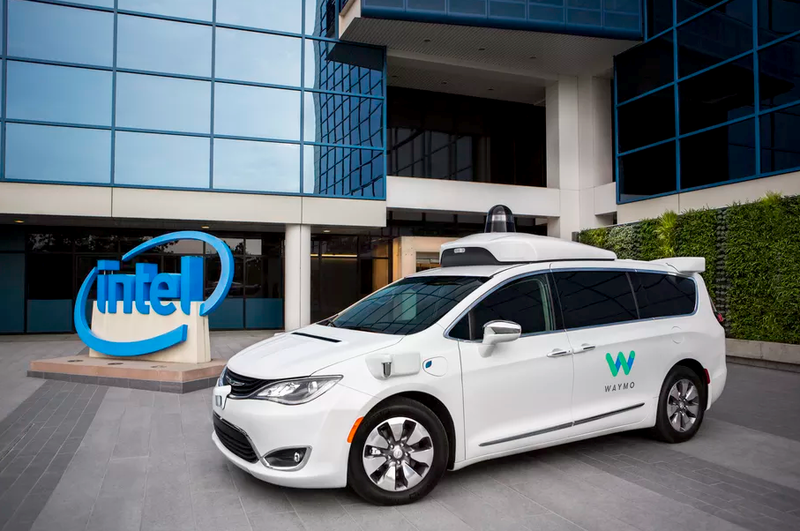 Intel and Waymo are collaborating toward producing level 4 and level 5 autonomous cars. While only announced now, this partnership actually started during the early days of Google's self-driving car efforts back in 2009. Waymo’s current self-driving test unit, the Chrysler minivan has been using an Intel-made custom chip since 2015 to process information from its sensors and to manage its connectivity. Mr. Krzanich left it unsaid, but he wants/expects Waymo to use Mobile’s camera-based autonomous car technology and its EyeQ 5 vision processing unit (VPU). After spending so much for Mobileye, Intel needs the backing of self-driving car pioneers like Google.